Looking for a customized display base for a trophy or sports memorabilia? With this custom hexagon wood trophy base from Big Sky Woodcrafters, you can easily show off your big award or favorite sports piece with ease. 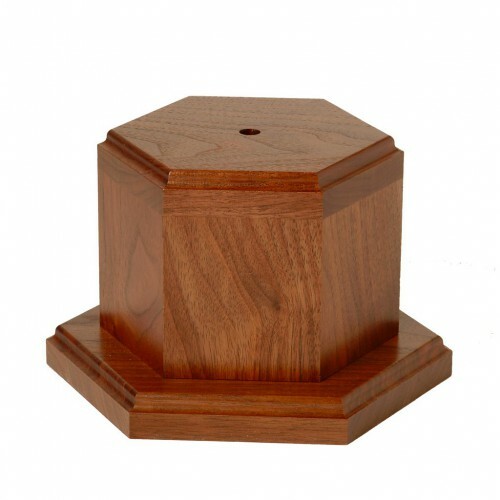 Made from high-quality hardwood, this tapered hexagon base stands 5.25 inches in height, and can be ordered with either a 4.875-inch base or a 6.875-inch top. 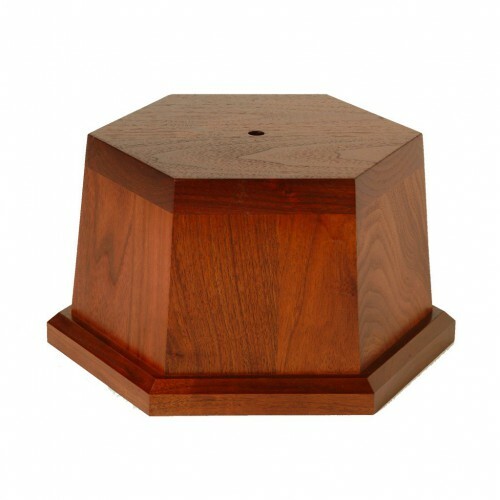 The base also includes a center hole, making it easy to connect to your screw-in trophy or display case. Make your own elegant trophy or showcase display with this custom hexagon wood base, available now from Big Sky Woodcrafters. Top 4.875" Height 5.25", Top 6.875" Height 5.25"